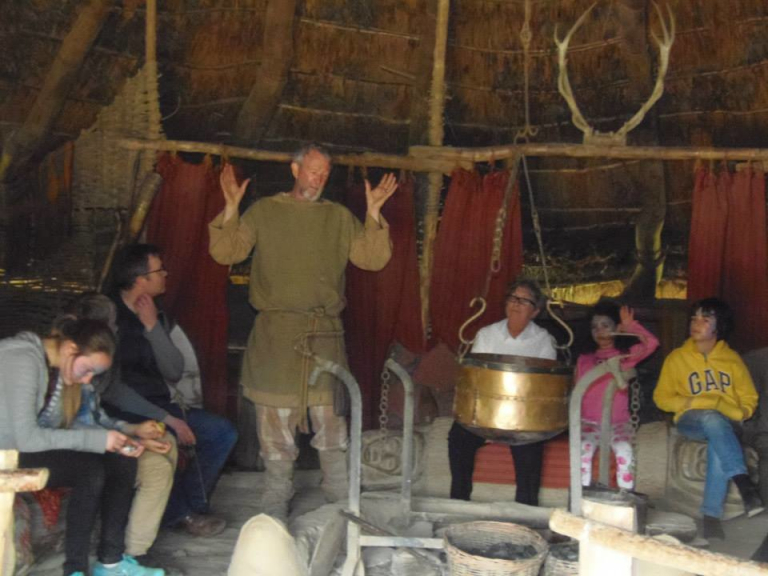 You can travel back in time into a fascinating world and experience how people lived 2,000 years ago at Castell Henllys in Pembrokeshire and there are some great activities there to give you a real taste of life in the Iron Age. There are events for all the family throughout the year and all through the summer holidays. Activities take place all year round at Castell Henllys in North Pembrokeshire, the only Iron Age village in Britain reconstructed on the exact site where our Celtic ancestors lived 2,000 years ago. This is where you can walk in the footsteps of the Demetae tribe, learn to be a warrior, see a woodsman at work, sit round a roundhouse fire to hear tales from a bygone age, and learn lessons from the past that can help us to conserve the landscape we live in today. This year Castell Henllys has a new Visitor Centre with fabulous interactive exhibitions. The site is set in thirty acres of woodland and river meadows in the heart of the Pembrokeshire Coast National Park. There is a café and gift shop, children’s play area and maze, and a riverside picnic area. Visit the expertly-recreated Iron Age roundhouses - built exactly where they would have been more than 2,000 years ago. The four roundhouses and a granary have been reconstructed on the original Iron Age foundations. The first to be built, the 'Old Roundhouse' is the longest standing reconstructed Iron Age roundhouse in Britain. There are many activities and events to take part in, including storytelling, traditional craft workshops and experimental archaeology. Living history and dramatic trails for children bring Castell Henllys alive and help visitors to understand the past in a fun and entertaining way. Try the Druid School events, learn about falconry, cooking the Iron Age way, take a costumed guided tour, check out the archaeology (adults and kids) – and there’s plenty more on the programme.